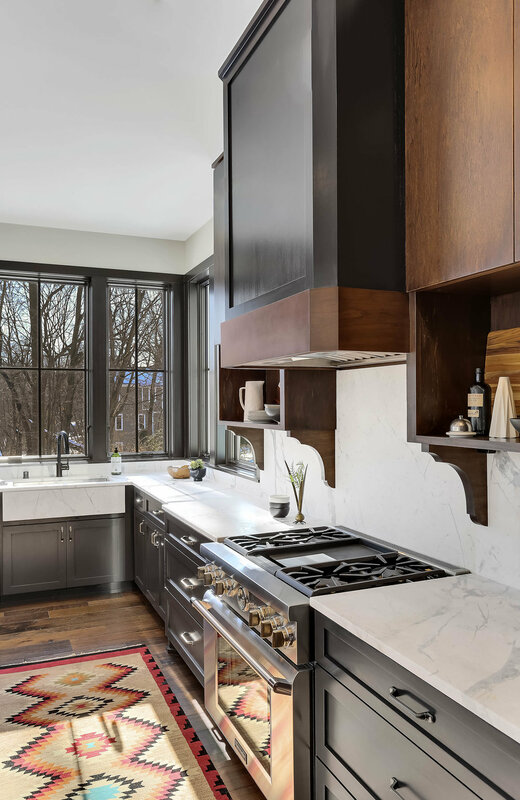 LOOKING TO THE MATURE WOODED LOT TO DETERMINE THE MOST NATURAL AND HARMONIOUS STRUCTURE FOR THIS ½-ACRE MINNETONKA PROPERTY, AN EXUBERANT FAMILY HOME WOULD FLOURISH. AN EXPERIENCE IN THE DISCOURSE BETWEEN MASCULINE AND FEMININE, THIS SPACIOUS CUSTOM HOME IS A CAPTIVATING STUDY ON CONTRAST. DARK AND LIGHT, DELICATE AND ROBUST. RICH BEAUTY IS FOUND WHEN COMBINING ELEMENTS MORE COMMONLY DIVIDED. THIS BOLD AND ELEGANTLY MASCULINE MODERN TRADITIONAL TREEHOUSE IS ROOTED IN WEST BAY HOMES QUALITY CRAFTSMANSHIP. IN AN IDEALISTIC WOODED SETTING, INTENSELY ARCHITECTURAL SILHOUETTES EMERGE. EXPECT TEXTURAL PALETTES AND WARM LUXURIOUS MATERIALS PAIRED WITH CLEAN LINES. 5 BEDROOMS, 5 BATHS, 2-STORY GREAT ROOM AND FIREPLACE WITH LARGE pella architect series PICTURE WINDOWS, GENEROUS LIGHT FILLED STAIRCASE, 8” wide PLANK hickory WOOD FLOORING, DESIGNER 100% wool staircase CARPETING, CURATED HIGH END DESIGNER LIGHTING SELECTIONS, CUSTOM CLEAN LINE BUILT-INS THROUGHOUT, CHEF'S KITCHEN FEATURES PANELED REFRIGERATOR, FREEZER AND DISHWASHER, MICROWAVE DRAWER, natural stone CLAD FARM SINK AND BACKSPLASH, EXTRA LARGE KITCHEN ISLAND, TV, A STUNNING WALK-IN BUTLERS PANTRY WITH SINK, AND A CLASSIC YET DYNAMIC SELECTION OF custom CABINETRY HARDWARE. 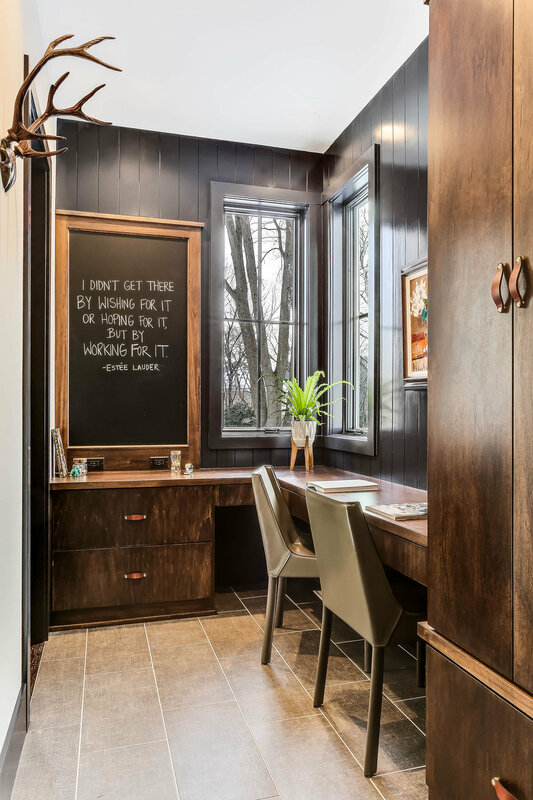 LARGE MULTIPURPOSE MUDROOM WITH SHIPLAP SHEATHED WALLS, AMPLE STORAGE AND A CONVENIENT OFFICE NOOK. LUXURIOUS MASTER SUITE WITH SPA BATH BOASTING MARBLE TILES FREE-STANDING TUB AND EXTRA LARGE SHOWER AND LUXURY custom WALK-IN-CLOSET SPACE. RAISED CEILING WET BAR ON THE LOWER LEVEL NEAR SWANKY LIBRARY LOUNGE WITH ROLLING LADDER. 10’ MAIN LEVEL CEILING HEIGHT. 8' TALL SOLID CORE DOORS AND Emtek DESIGNER DOOR HANDLE SETS THROUGHOUT. Heated OVERSIZED 3-CAR GARAGE, hardie board siding exterior to finish off this property. THIS TRULY CUSTOM HOME IS JUST UNDER 5,700 sq. ft. AND IS A MUST SEE WITH MANY DISCERNING DETAILS TO MENTION!